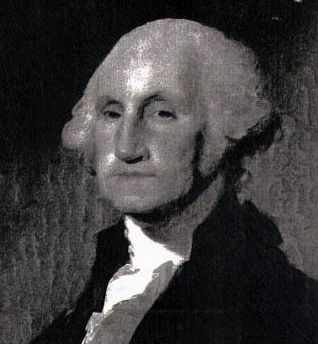 A painting of George Washington around the age of 60. In the Ford oral history, the father of the country was also the father of West Ford and a slave named Venus. For almost 56 years, Washington bought and sold slaves, yet at the end of his life, he freed the ones he still owned. West Ford would have been around 14 years old.